Original reclaimed wooden flooring – type L5 – has originally been used in old living rooms, farm buildings, stables or barns. The unique patina shows the characteristic fading from earlier times. Our flooring is kiln-dried (pest-free), brushed and ready for laying. The perfect wallcladding to fit your wooden flooring can be found here. The floors have been walked, swept and wiped clean. 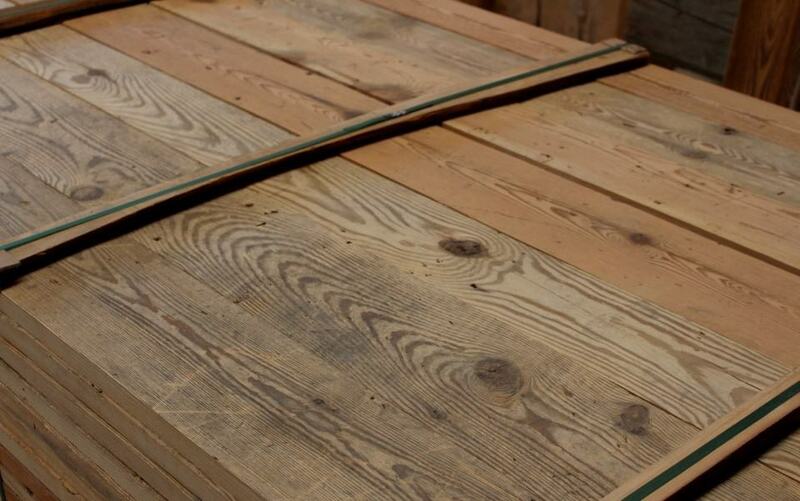 Reclaimed wood flooring mostly come from farmhouses, old warehouses, stables and barns. Therefore, the surface and its appearance differ. Today, old floors are used in all living spaces, in restaurants but also in company buildings, where they provide a cozy atmosphere.